Hershey's Chocolate World is the place to go in NYC when your sweet tooth starts kicking in. 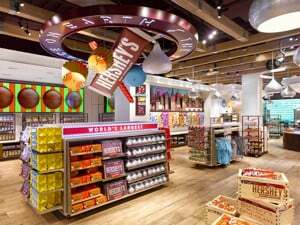 Located in the heart of Times Square, the new store is nearly three times larger than the previous and features new chocolate experiences for everyone to enjoy. Enjoy Hershey's largest permanent s’mores experience where they serve gooey, made-to-order s’mores from an authentic camper. Learn how to smoosh your s’more to allow the warmth of the roasted marshmallow to melt the Hershey's chocolate into gooey, chocolatey, crunchy goodness. 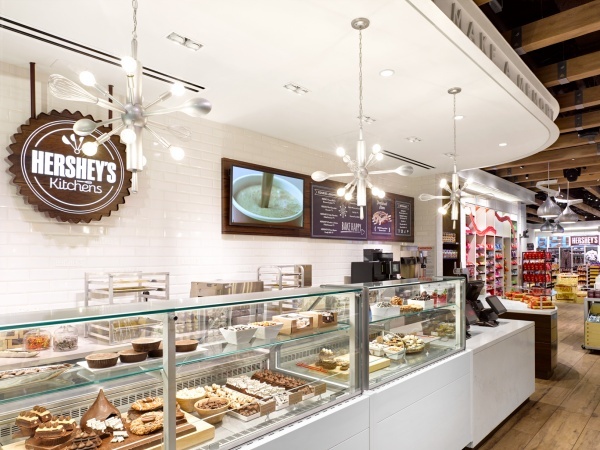 At Hershey's Kitchens Bakery indulge in a chocolate-filled brownie or peanut butter blossom cookie. Relax with a refreshing Hershey's chocolate spritzer or warm up with a Hershey's melted hot chocolate. You can also create a custom mix of Hershey’s products at the Amazing Candy Machine and design a personalized Hershey bar wrapper. Follow Hershey's Chocolate World Times Square on Facebook, Twitter, Instagram, and YouTube.